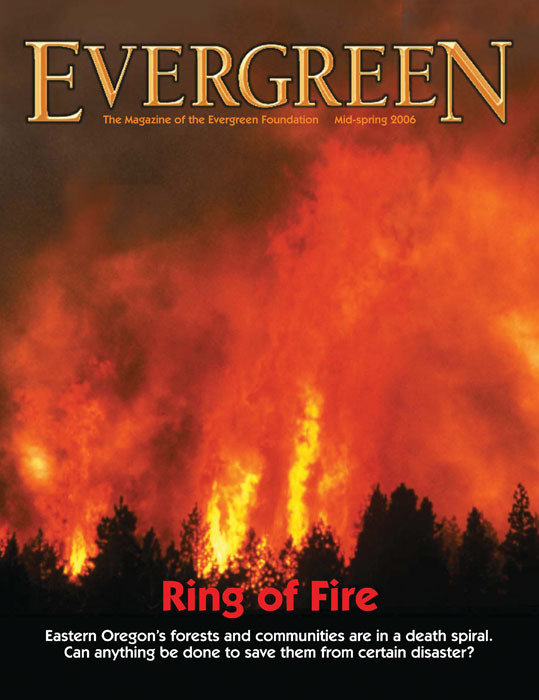 Timber Harvesting’s January/February issue spotlights Oregon’s Bighorn Logging Corp., a multifaceted company that occasionally encounters some head-turning big trees along the way. Using chain saws, wedges, axes and considerable skill, this alert felling crew goes after a stately Douglas fir on a large watershed tract owned by the City of McMinnville. 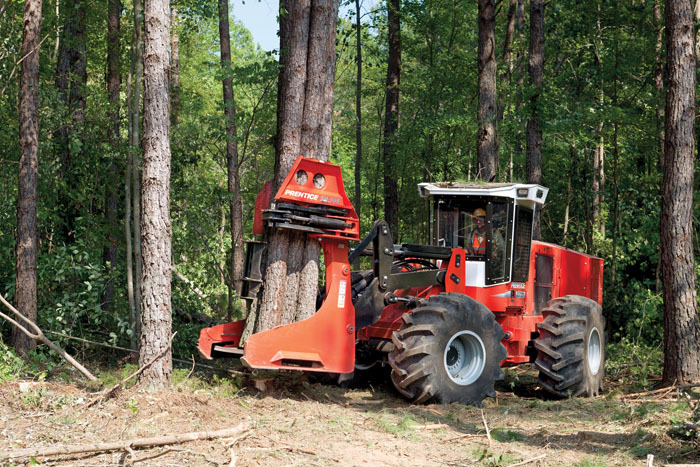 Also featured are Arkansas’ A&W Logging, where a prototype loader conversion is in the testing phase, and Minnesota’s Dukek Logging, which favors machine upgrades, versatility and operator comfort. W&W Truck and Tractor’s Johnny Ward is highlighted for celebrating 40 years in business. 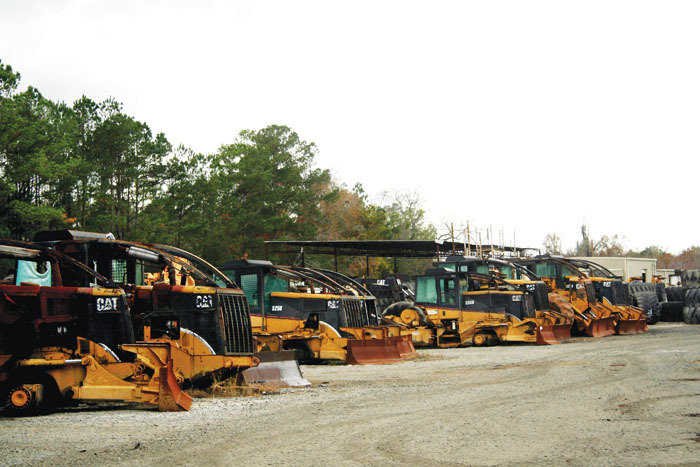 Included in this issue is the 2012 Equipment Directory, featuring products, manufacturers and dealers. 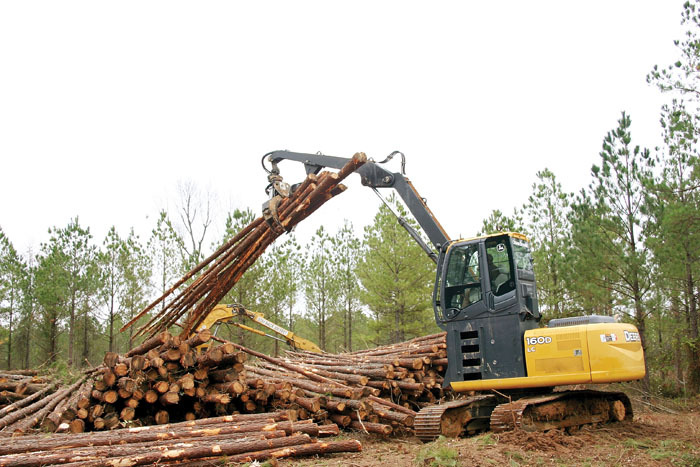 Long-time logger Harve Dethlefs, who came to the woods as a second career, has earned a well-deserved reputation for reliable, quality work while guiding a can-do logging company that has become a multifaceted venture able to handle different harvesting applications. 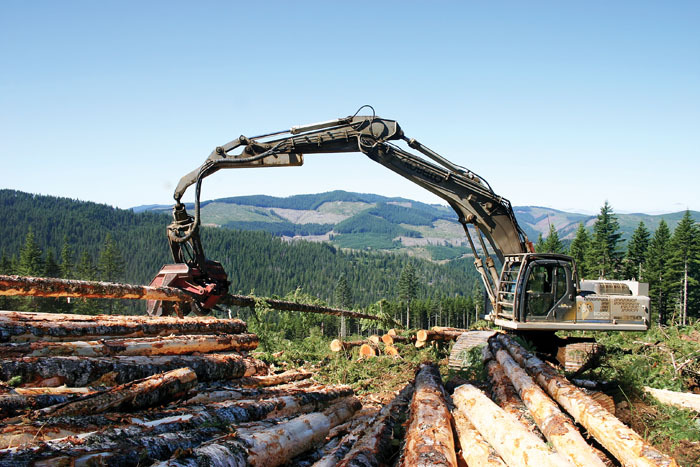 Thanks to a combination of market factors and a well-honed organization characterized by its equipment and personnel and administrative, clerical and shop support, Dethlefs’ Bighorn Logging Corp. (BLC) is doing as well as it ever has since he started it in 1980 after a 20-year career in electronics. Last November A&W Logging’s wet weather crew took delivery of a prototype single-function track-type loader designed and supplied by affiliate River Ridge Equipment, also based in Rison. Essentially a modified John Deere 160D excavator, the machine features a custom designed loader package which replaces the standard digging boom. 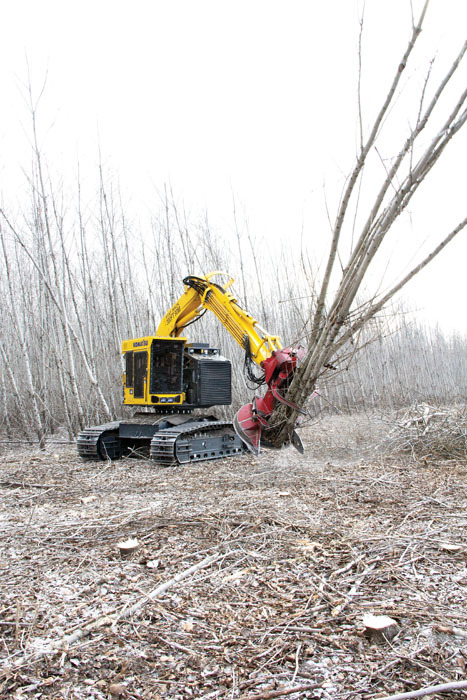 Local Dukek Logging, Inc. specializes in harvesting hybrid poplar and native species on forested lands of the state’s northwest region. Larry Dukek, 68, began the company in 1967. His son, Joe, started working with him in the late 1980s. Touted as the largest salvage yard in the Southeast, W&W Truck & Tractor, Inc. celebrated its 40th anniversary last December. Co-founder Johnny Ward started a parts business on the location in 1971 but didn’t start selling machinery until 1972. In late June 2011 I was standing in a forest with a few friends on the southern side of Lake Tahoe. It was a cool sunny day and the surrounding snow-capped mountains were picturesque. A perfect day, except no one was talking. My friends looked around in astonishment because they had never seen a forest like this before. Officials of LanzaTech NZ Ltd., a closely held biofuels company based in Auckland, New Zealand and backed by billionaire Vinod Khosla, say it will convert a U.S. cellulosic ethanol plant it bought from Range Fuels Inc. to produce chemicals from biomass. 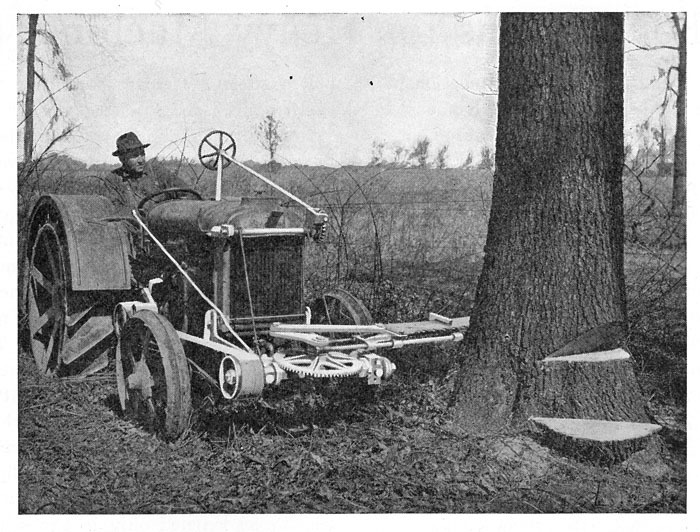 The first drag saws, forerunners to the chain saw, emerged in the late 1800s. They were the first power saws used in logging operations and typically used a six foot steel reciprocating crosscut saw to buck logs.